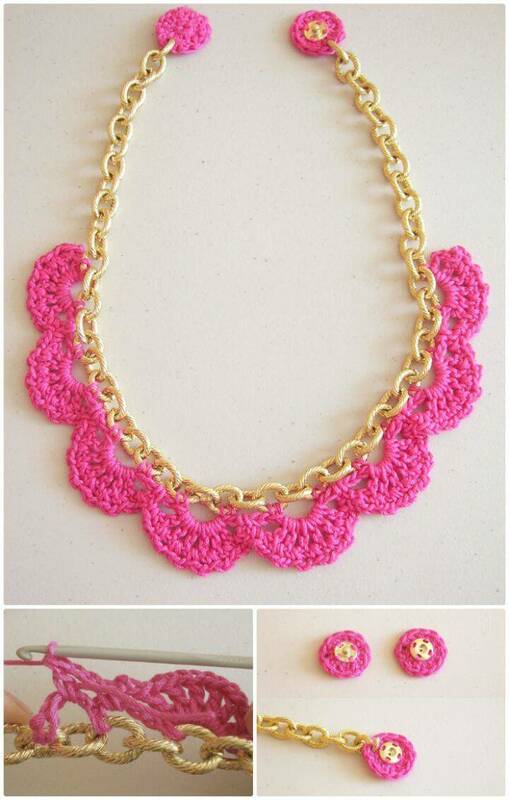 Wearing the matching jewelry is something that every style-loving women love to do to embellish her personality! Whether you are to join a night dinner, a party or you are attending a wedding ceremony, this always demand you to wear the jewelry that just adds extra charm to your dress up! 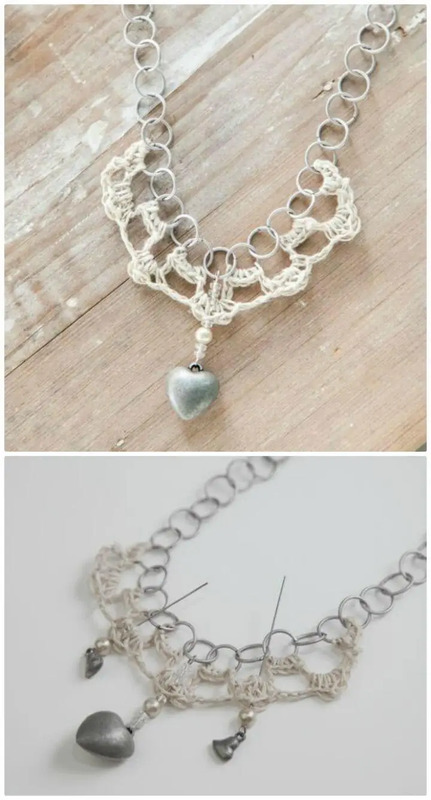 In short, the jewelry is something that is dearly loved by all the fashion loving ladies and it is something that helps them to score bigger fashion points! 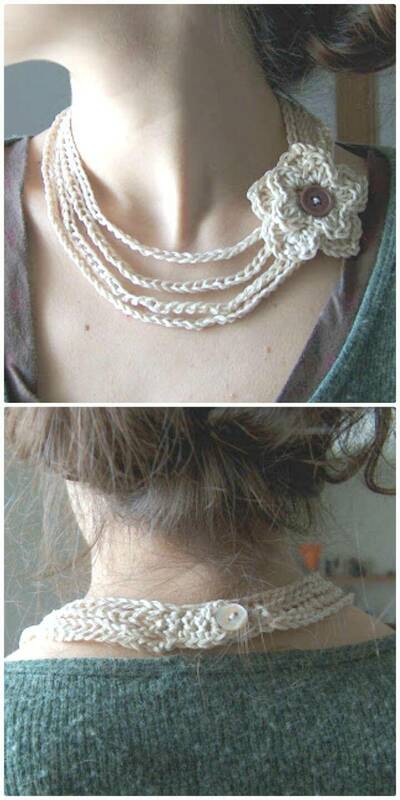 Here we are going to explore crochet necklace patterns for you and your family. 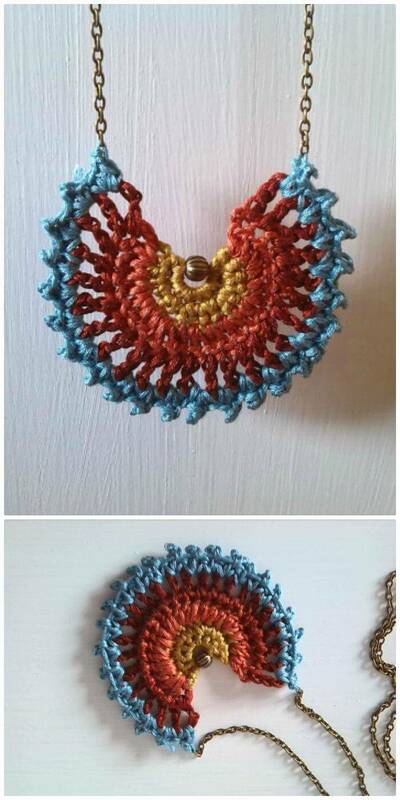 Undoubtedly, the jewelry is expensive especially when you wish to buy the designer’s style jewelry! 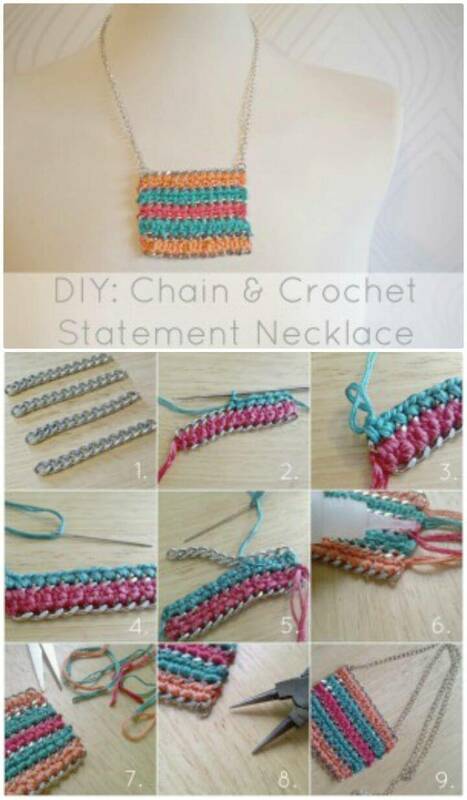 But going with DIY alternatives can cut short your expenditures, and the good news is that you can also craft designer’s crochet jewelry at home using your crafting skills and creativity! 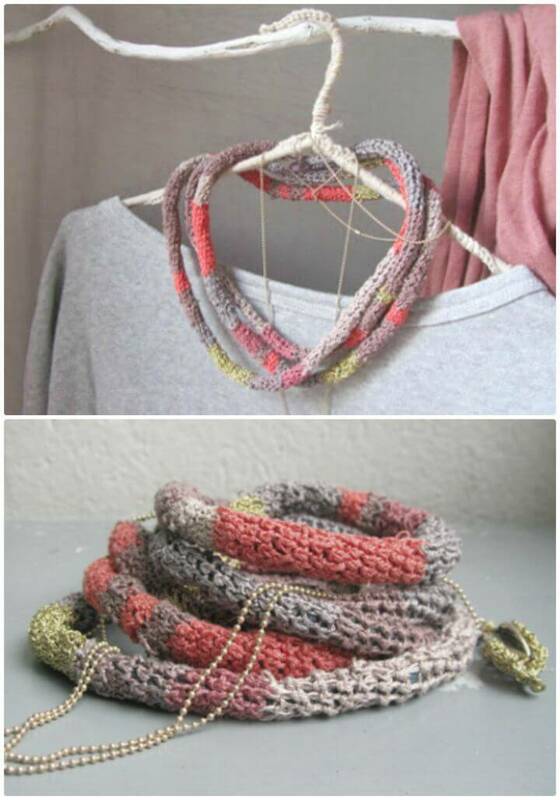 Moreover, you can also produce amazingly beautiful jewelry through the medium of crocheting! 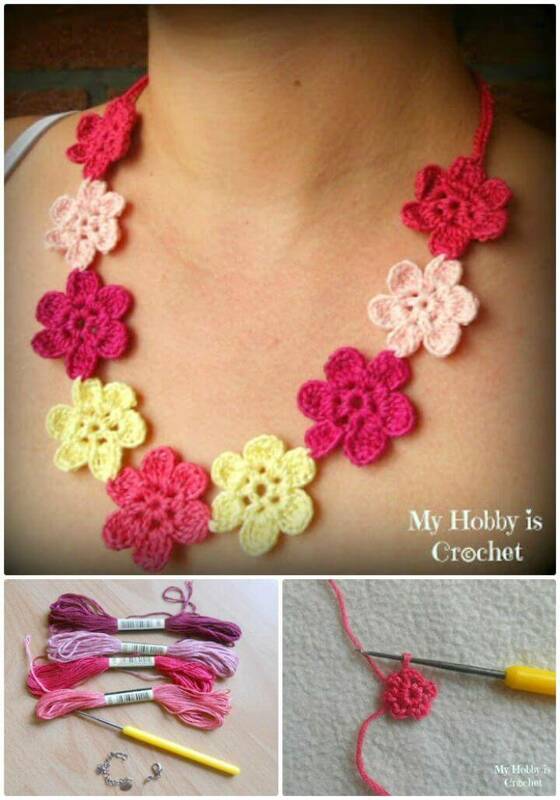 So, you can enjoy happing hooks also now to crochet precious jewelry at home, get your hook inspired by these 27 free crochet necklace patterns that will help to get your favorite necklace at home! 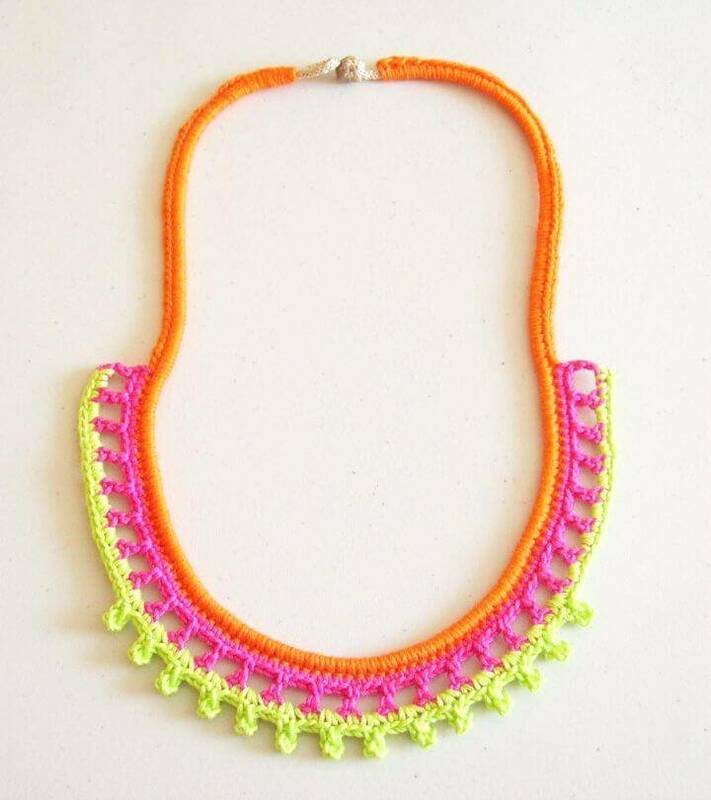 Are you a big fan of bright colors? 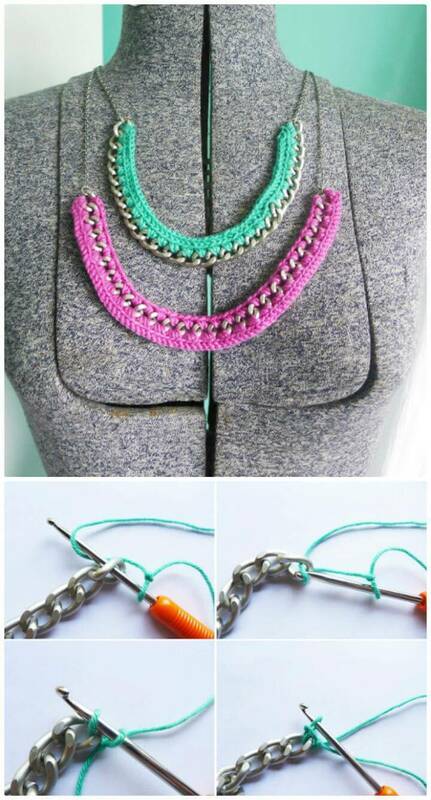 If yes, then crochet the enticing neon necklaces using yarn in neon colors that will jazz up a women’s neck! 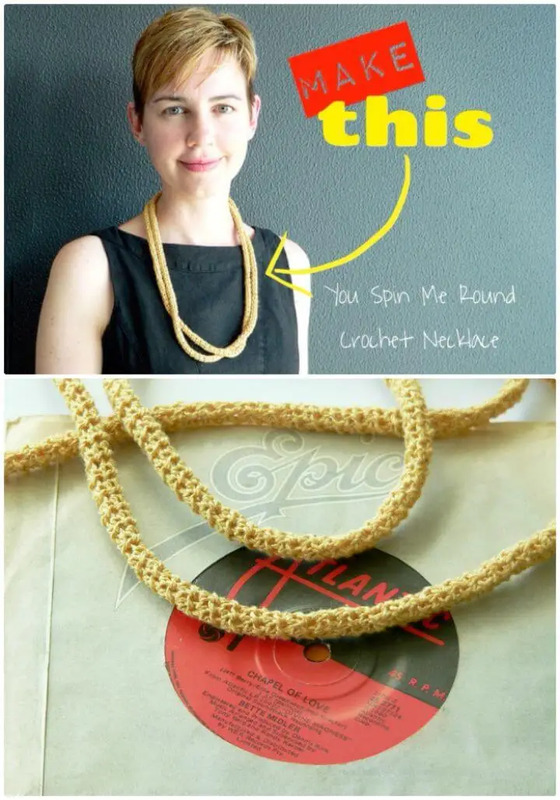 Spice up your night party dress with a mesh crochet necklace that is super easy to crochet but is truly glamorous! 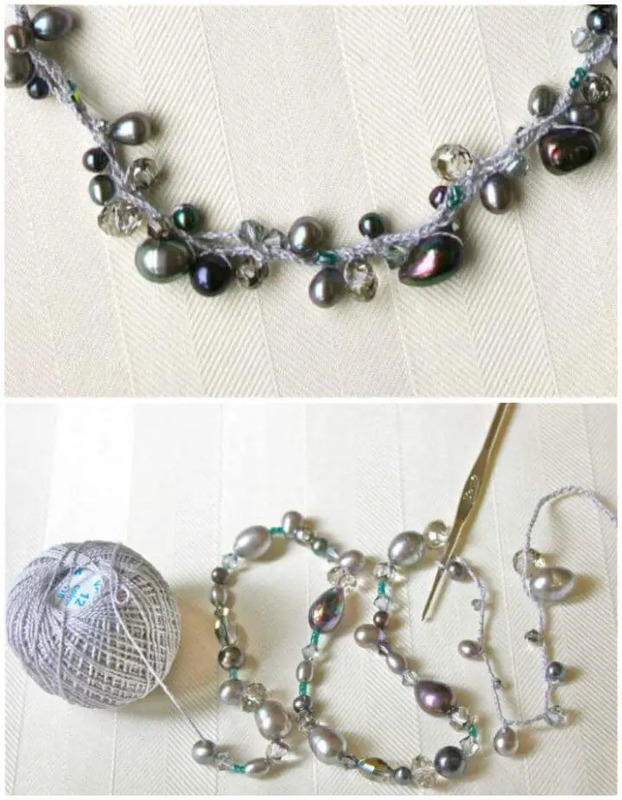 If you light the beads and are the big fan of their crystal clearance and shine then crochet beaded necklaces that will be sure to create an artistic look on your neck! 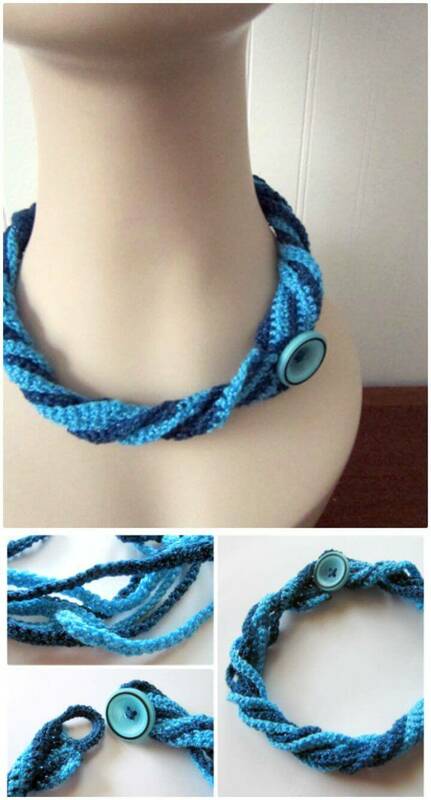 Crochet some longer yarn lengths in different colors and then braid them making a loop, another interesting necklace would be ready that may come with button accents for amazing visual appeal, check out a precious sample given below! 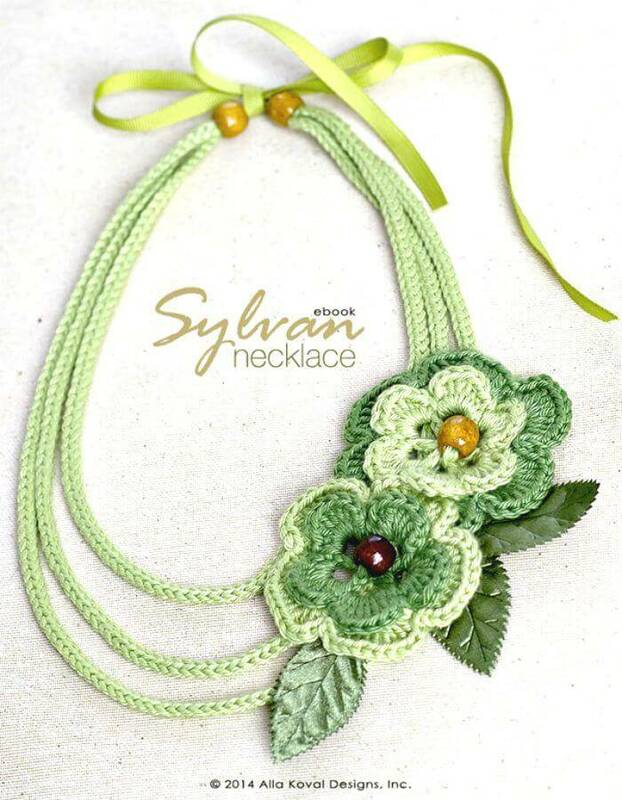 Create an adorable summer look of your personality with a precious boho touch that will come from the necklace you can easily crochet using seed beads and some yarn strands, take a look at the given below sample design! 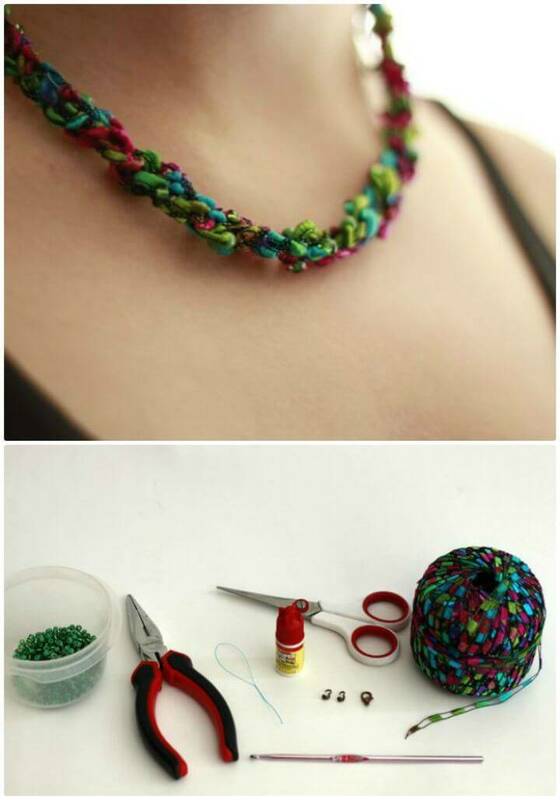 You can change the yarn colors, style of stitching and also the crochet necklace pendant designs to given variations of your crochet necklaces! 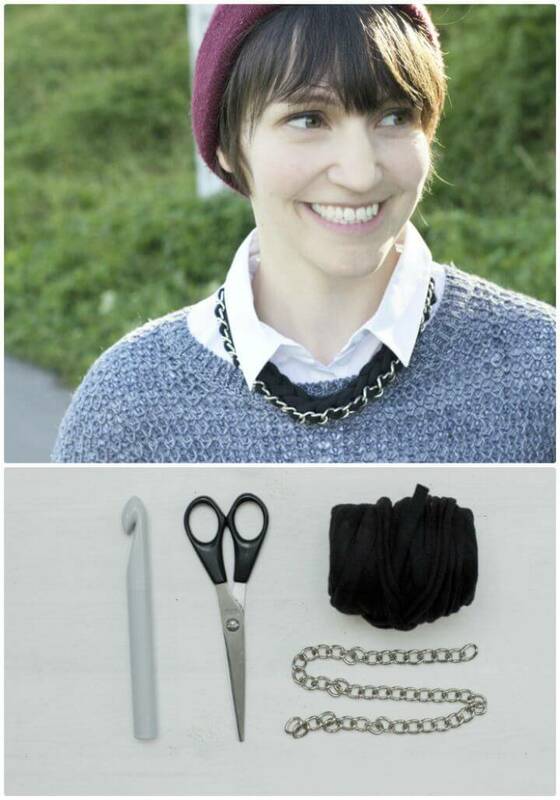 Make an angel wings necklace that comes with crocheted angel wings as a necklace pendant, create precious style statements of your personality by wearing a bib necklace that is also quick and super easy to crochet! 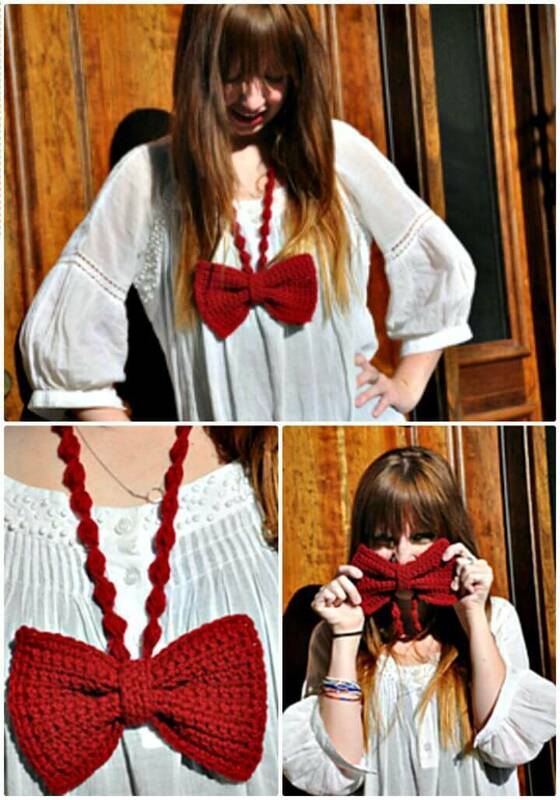 Crochet the ring necklaces, bunting necklaces and also accent flower necklaces that will make a Thanksgiving gift too to a fashion enthusiast! 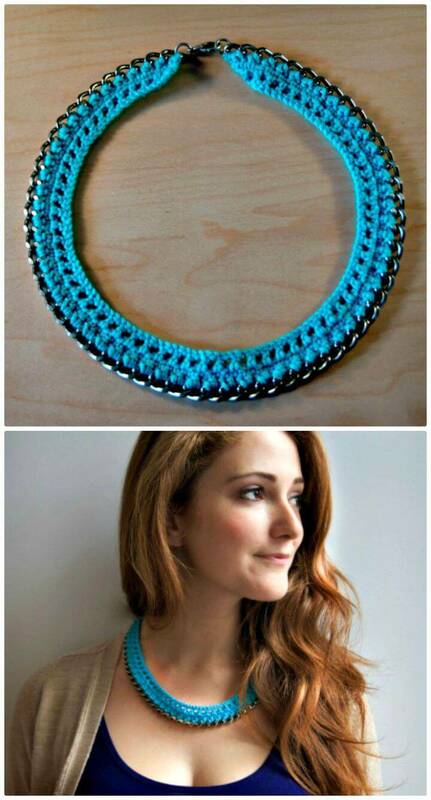 Check out a lot of crochet necklace designs beautifully showcased in the collection! 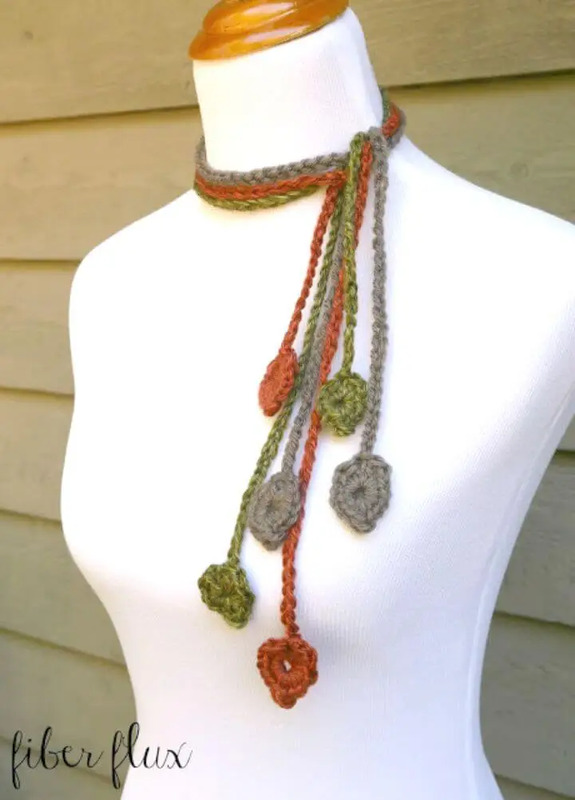 While taking a tour of the entire crochet necklace list, you can also go the respective links for your favorite crochet patterns, to see further project details and to grab free crochet necklace patterns and tutorials! 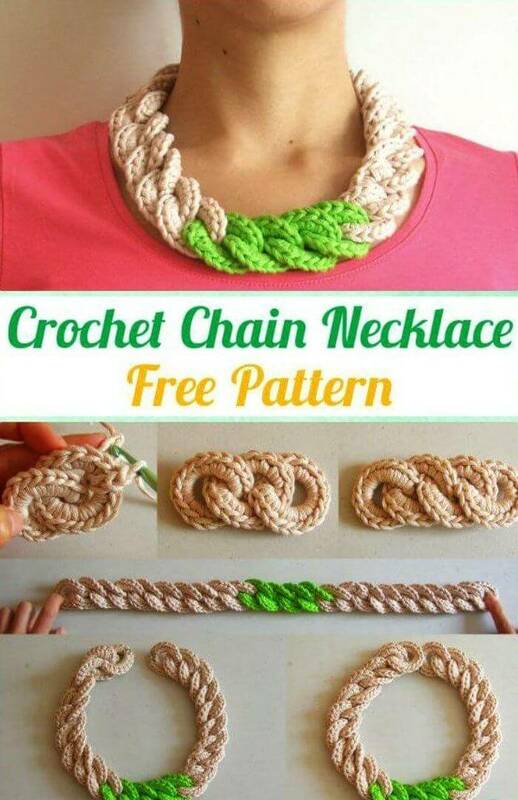 Want more Free Crochet Patterns for your Fashion?